Traveling? Don’t Forget the Fiber! Traveling not only opens doors to new experiences and cultures, but also offers you the pleasure of trying new foods that you probably have never tasted before. You should enjoy all the new foods and flavors that are at your destination. However, as you (unfortunately) may already know, dining out while traveling can lead to digestive issues. The food may be richer than what you usually eat at home. And many restaurant foods can be lacking in dietary fiber, which we need to keep things moving along in the intestinal tract. Fiber also helps keep us full longer, which is great for managing your weight. It can be difficult to find whole grains, beans, fresh fruit and vegetables in eating venues such as Parisian cafes and British pubs. Often the breads and other grains served abroad (and in the U.S.) are refined, and have had the fiber removed. It can be much easier to consume foods with fiber at home. When you travel you want to feel good so you can enjoy your time exploring your new surroundings. You don’t want to be troubled with constipation and/or other gastrointestinal issues. So making an effort to get adequate fiber should be at the top of your list. According to the U.S. Dietary Guidelines, fiber recommendations are 25 grams per day for woman and 35 grams per day for men. If you have been plagued by intestinal issues in the past when traveling, or want to avoid a potential problem, check out these tips. 1. Bring along some high fiber bars for your trip. Fiber One and KIND bars are smart choices. Bring enough to have at least one per day. Look for bars that contain at least 3 grams of fiber per serving. 2. When you dine out, ask for whole grain bread. Have a salad and/or a serving of vegetables at lunch and dinner. 3. Make an effort to drink fluids. Aim for at least 8 cups per day. Drinking helps keep you hydrated and helps the fiber move through your intestine. If you are trying to lose or maintain weight, water or seltzer is best. All fluids count, with the exception of alcohol. So keep drinking! 3. Plan ahead and do a web search for farmers’ markets where you will be traveling. 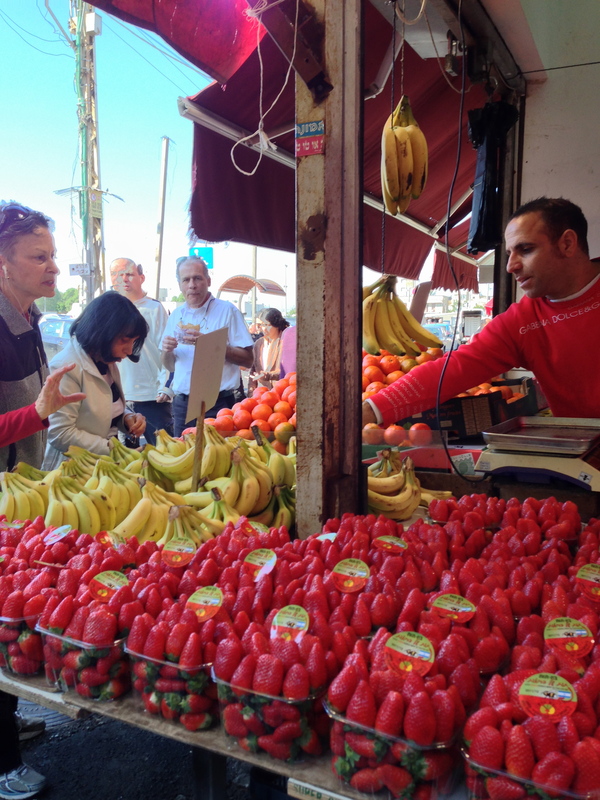 Visit the market and purchase fresh fruits, vegetables and nuts to keep in your room for snacks. If your destination does not have a marketplace, visit the local grocery store and stock up on produce, nuts and whole grain cereals. Use this fiber list to ensure that you are getting enough daily to keep you healthy.